The Vier-Quellen-Weg (Four Springs Trail) in the Gotthard Massif leads to the sources of four rivers: the Rhine, Reuss, Ticino and Rhone. 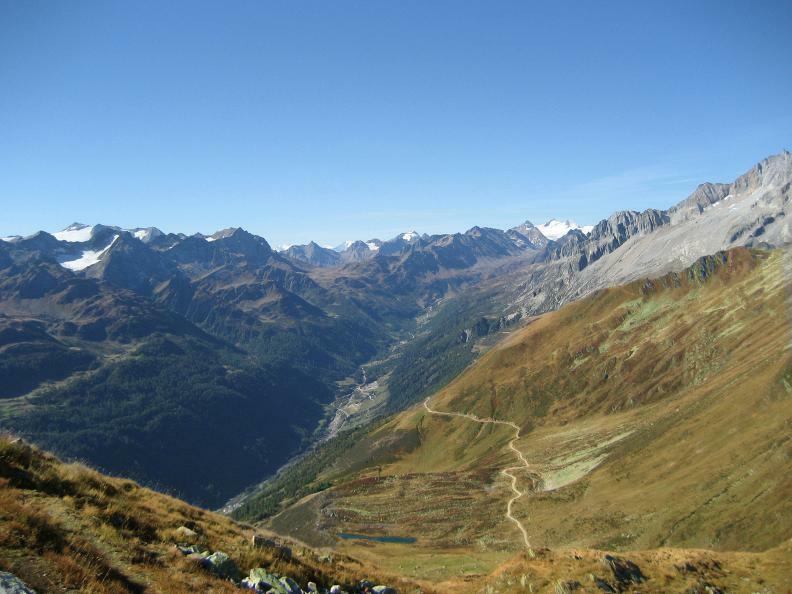 A tour through an exceptional Alpine landscape with a wide diversity of fauna, flora and witnesses to a historic past. 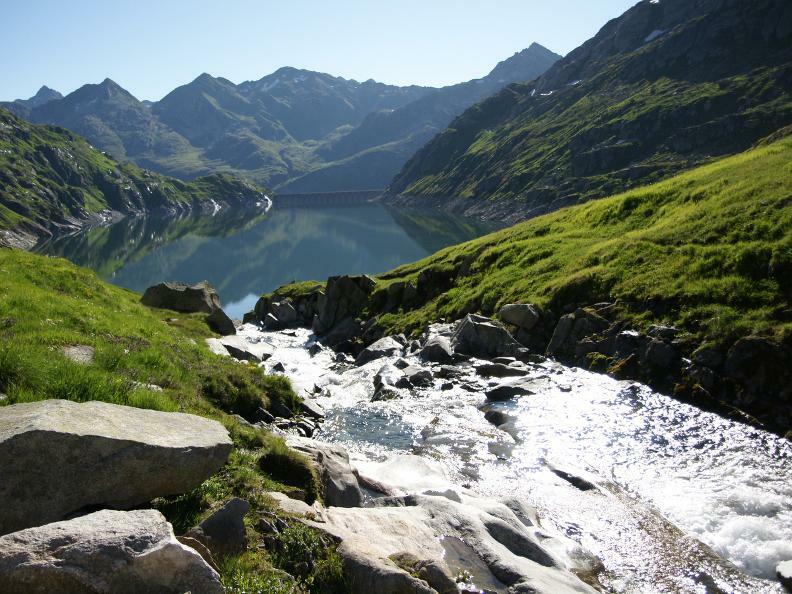 The route leads along the Lago Lucendro lake to the source of the Reuss at the foot of the Lucendropass and on over the pass. 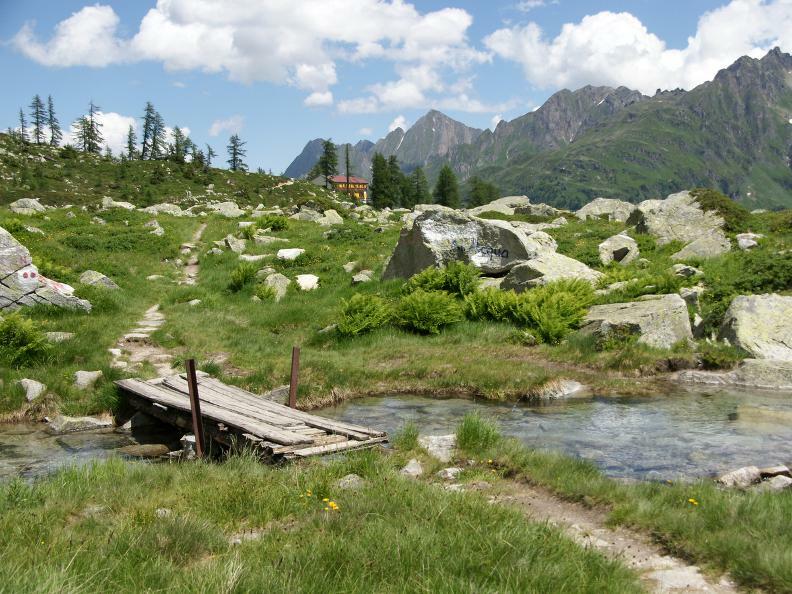 fter a long and scenic high-level hike above the Bedrettotal valley, you reach your destination - the Piansecco Hut.